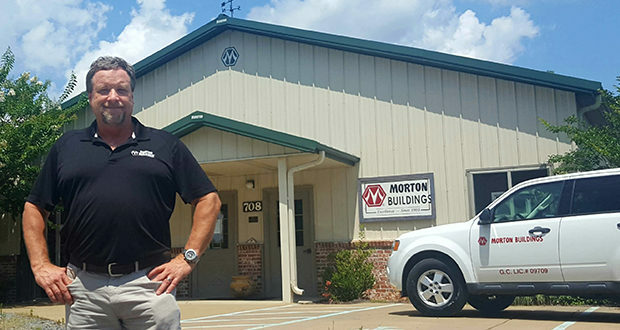 When Robert Bell went to work for Morton Buildings Inc. in Pearl in 1996, he was drawn by the fact that it was a family-owned business. Morton Buildings was founded in 1903 and has been in Mississippi for decades. It specializes in metal buildings for farm equipment and residential storage, large churches and residences. And now Bell has even more at stake because he is also an owner of the company. Morton Buildings recently became 100 percent employee owned through an Employee Stock Ownership Program (ESOP). Bell said the ESOP program is an incredible tool for allowing Morton Buildings to attract and retain top-level talent. Bell said being an owner gives employees a greater stake in ensuing the success of the company, which he said is geared towards customer satisfaction. The National Center for Employee Ownership has conducted research that shows that ESOP companies perform better and create more jobs than non-ESOP businesses. According to NCEO, Morton Buildings with 1,700 employees will be one of the top 75 largest ESOPs in North America. John Russell, president and CEO of Morton Buildings, said an ESOP provides a stable, long-term plan for the company — which helps ensures the longevity of a company that has already been in existence for more than 100 years. “This ESOP transaction will have an overwhelmingly positive effect on the company by further strengthening the historical bond among our very capable and committed employees,” Russell said. Bell said business decisions are made by a combination of local and regional management working together. “We all contribute to the ownership of our company, and we take that down to the hiring process,” Bell said. Bell said their customers have responded favorably to the company becoming 100 percent employee owned. Bell said their buildings have some of the highest performing energy values of any structure available as a result of a combination of high R value insulation and ventilation. They also come with a five-year unlimited wind load velocity warranty. Bell said the type of buildings in most demand varies across the country. Some areas do primarily farm equipment storage while a lot of companies in the East focus on commercial buildings. In Mississippi, their focus has been on churches, suburban accessory buildings and homes. “We literally can’t keep up for the requests for information on the Morton residential homes,” Bell said. “Normally we build as a shell and let the owner be the general contractor.